Five players scored as HPA trounced Makua Lani on the way to the semi-finals in the girls Division II state soccer tournament on Oahu. Scoring for HPA were: Nanea Tavares (26); Jessica Benioni (35) Bri Vallente (55); Katie Case (61); and Meimei Nakahara (75). No. 3 seed HPA takes on No. 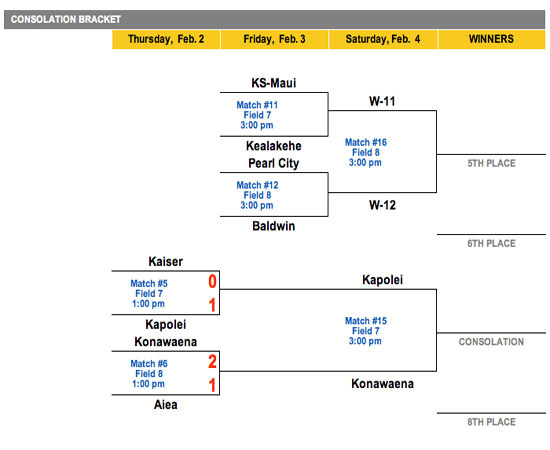 2 seed Kauai in the semi-final match Friday. The other semi matches up No. 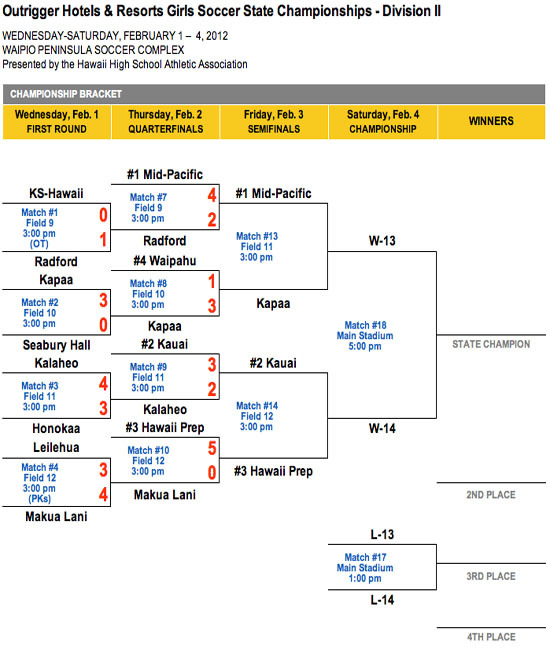 1 seed Mid-Pacific and Kapaa, which knocked out No. 4 seed Waipahu. Over in Division I, No. 4 seed Kealakehe bowed out 2-0 to Mililani in Thursday’s match. 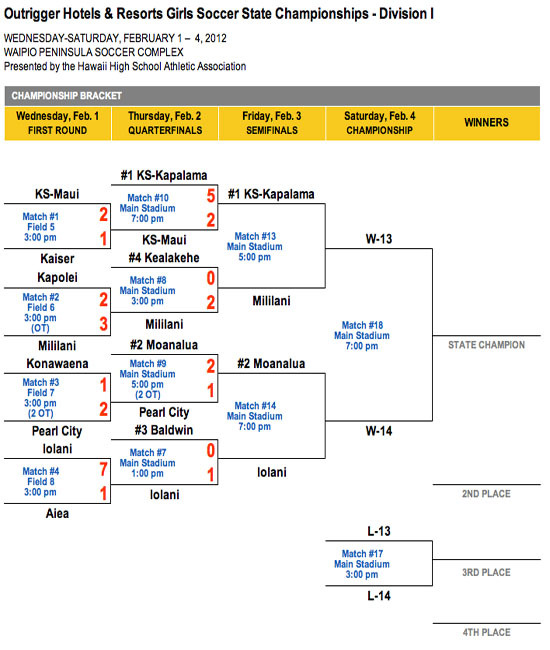 On Friday, Kealakehe plays Kamehameha Schools Maui for the chance at 5th place. Konawaena and Kapolei will fight for 7th and 8th place. 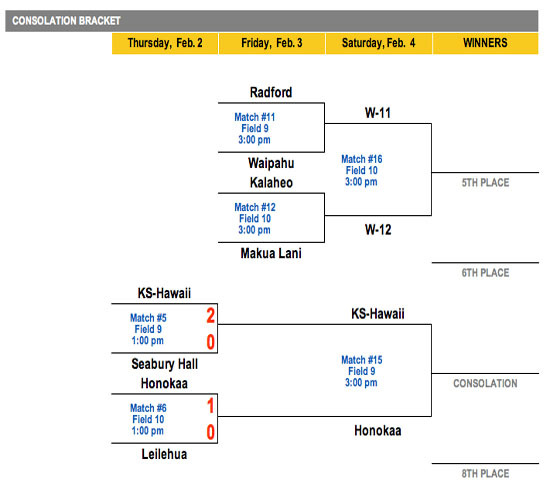 In the Division II consolation bracket, Makua Lani will take on Kalaheo for the right to battle for 5th place. Also in the Division II consolation bracket, Kamehameha Schools Hawaii and Honokaa will duke it out for 7th and 8th place.